Division of Labor research papers discuss the labor strategy, employed during the early development of the Industrial Revolution, where individuals perform specific tasks and take on various roles. 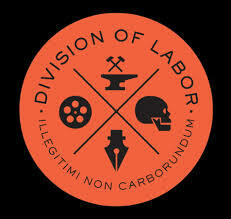 In order for a group to best accomplish a goal, there is frequently a division of labor. This occurs when individuals perform specific tasks and take on various roles. The division of labor was frequently employed during the early development of the Industrial Revolution, as efficiency was gained when one person performed one single task, which often eliminated the need for extensive training. Division of labor allows one person to focus on a particular task. Theoretically, this makes production far more efficient, and thereby reduces the cost of producing a good or service. One of the earliest examples of the division of labor is the agricultural revolution, in which certain groups focused on food production, which allowed for a surplus and led towards the development of civilization. Karl Marx famously criticized the concept of the division of labor. Marx believed that by having a worker perform one repetitive task, that worker would become alienated from the process of production. Marx also maintained that such division of labor would lead to a large class of unskilled workers. The division of labor was a hallmark of the rise of industrialism and capitalism, providing lower costs of production. In contrast to Marx, Emile Durkheim believed that the division of labor was a sign of social progress, and that it was a natural law. While Durkheim argued that the division of labor led to social solidarity, Henry David Thoreau believed that it removed the individual from connection to both other humans and nature. Paper Masters writes custom research papers on Division of Labor and discuss the labor strategy, employed during the early development of the Industrial Revolution, where individuals perform specific tasks and take on various roles.